Justin and his wife Sydney, both grew up in Cleburne and are graduates of Cleburne High School. Justin was in the first class to graduate from what was then the “new” high school in 1978. They have four children, Ryan, Dax, Tyler and Zachary who also graduated from Cleburne ISD. Justin received an Accounting degree from Texas A&M University and then came back to Cleburne to work for a local bank. He founded his first company in 1987 and has since gone on to start three other local companies. Justin served two terms on the CISD Board of Trustees in the early 1990’s and served as the Mayor of Cleburne for one term. Justin has served on several non-profit and foundation boards. He and Sydney are very active in the Cleburne community and want to do everything they can to improve the education system in Cleburne. Justin believes that the basis for any successful community starts with a strong school system. Jason and his wife, Amy, have lived in Cleburne since 2007. They had been looking for a smaller community where they could set up his orthodontic practice and raise their kids, and Cleburne is exactly what they had hoped it would be. They have two children who have thrived in Cleburne schools, and another who will join them in a couple of years. Jason is an active member at Cleburne Bible Church, serving on the elder board, playing guitar on the worship team, facilitating an adult Bible fellowship class, and leading a small group. He was also a co-chair of Yes Matters, the 2016 school bond campaign, which has facilitated the building of the new high school as well as many other district-wide improvements. He is passionate about his involvement in our community and is thankful for the opportunity to assist in helping Cleburne be a leader in public education. Donnave and her husband, Jim, have lived in Cleburne since 1987. Their two sons graduated from Cleburne High School and both are now teachers. Donnave was a flight attendant with Delta Air Lines for 32 years until her retirement. Donnave is actively involved in Henderson Street Baptist Church and serves on the committee for the annual Cleburne Christian Leadership Prayer Breakfast. Educational excellence has been a priority in her family’s life and she wants to support our CISD teachers in order to make it as easy as possible for them to teach effectively. Will has lived in Cleburne since 1993. Both he and his wife, Cristin, graduated from Cleburne High School in 2000. They have three children. Ryan, Anna Jayne, and Charlie, two whom are currently attending Cleburne schools and the youngest will soon. 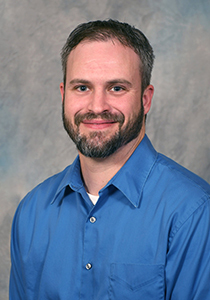 Will is Vice President of Lending at Members Credit Union where he has worked since 2003. Excellence in education has always been a priority for him as he comes from a family of teachers. His mother taught in Cleburne for many years and his wife is currently a teacher. His goals are to assist students and teachers by providing educational resources they might not otherwise have access to. Shelly, a graduate of the University of North Texas, grew up attending Cleburne schools, as did her two sons and her mother! 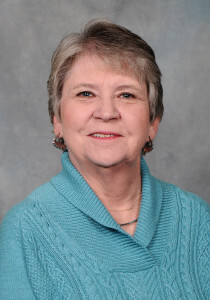 She began teaching in Godley, Texas before transferring to Cleburne, where she served as a teacher for more than 30 years. She is active in St. Mark United Methodist Church where she teaches a Sunday school class and works with children during special activities. Shelly believes that supporting our teachers and students should be the main goal of the CEF as we continue on our path of excellence. Albert grew up in Cleburne, as did his wife, Beverly and their two children, all of whom are proud graduates of Cleburne High School. Go Jackets! 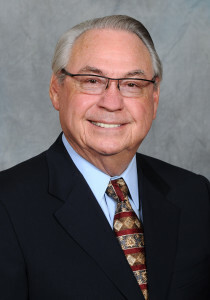 Albert’s professional background is primarily in sales and management, culminating in his position as Chairman, President and Chief Executive Officer of Walls Industries. 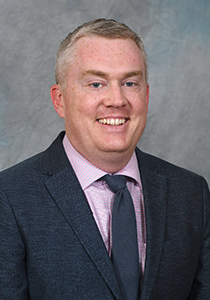 In addition, Albert has served on numerous community and corporate boards, and brings a wealth of knowledge to the CEF regarding board effectiveness. Having two grandchildren enrolled in CISD, as well as a long-term love for and commitment to our community makes Albert’s interest in the excellence of our school system a personal priority. Vance and his family moved to Cleburne in March of 1969 when he came here as the owner of a menswear store. 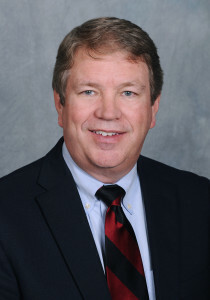 Since 1984 he has been an independent insurance agent. Vance and his wife, Camilla, are heavily invested in the Cleburne community through the activities of civic work, Christian organizations and their church. His son and daughter both attended Cleburne High School. 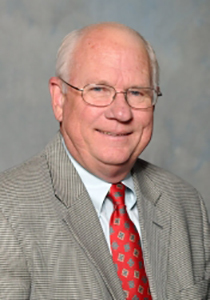 Vance is a founder of Cleburne Education Foundation. Education has always been important to Vance, who graduated from Tarleton State University in 1967. His parents instilled in Vance the idea of becoming a productive citizen in the community. Vance lives by his core value that you need God in your life and an education to achieve the best for your family. Carolyn has lived in Cleburne since 1972. 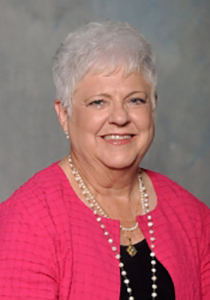 Always active in the community, Carolyn retired from Cleburne ISD after 41 years of service as a teacher, special education director, principal, Assistant Superintendent and two tenures as interim Superintendent. 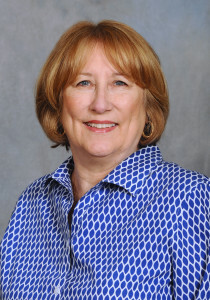 Carolyn is a founder of Cleburne Education Foundation. Carolyn’s husband, Jeff, retired from Cleburne High School after 45 years of service as a history teacher and basketball coach. Both of their children, as well as their grandsons, graduated from Cleburne High School. Carolyn loves Cleburne ISD and her passion is to see that all students excel and that the district provides excellence in instruction, environment, and opportunity. Carolyn’s desire is to support and assist/encourage teachers and students in their educational journey through Cleburne ISD. 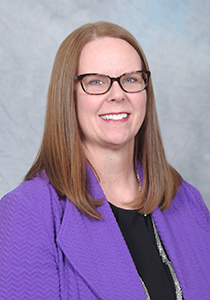 Paige was hired as executive director in January 2018. She came on board to help CEF grow with her background in nonprofit management and fund raising. She worked at Meals on Wheels of Johnson and Ellis Counties for 21 years, most recently as Director of Donor Relations. Paige has lived in Cleburne since 1998. She and her husband, Rick, have one son, Carson, who is a student at Cleburne High School. Paige is passionate about public education and helping Cleburne ISD provide the best opportunities possible for its students and our future workforce. The Cleburne Education Foundation (CEF) was born out of a committee called the “Friends of Cleburne” which was formed in 2009 to lend a positive voice and financial support to Cleburne ISD. CEF is not a department of the school district, but a private non-profit organization that is a bridge between our community and our schools. CEF’s focus is to raise private dollars to invest in programs in CISD that are not funded through local, state or federal tax dollars. In March 2011, the CEF Board of Directors was established, and they applied for and received tax exempt charitable status from the IRS. The Foundation awarded its first Innovative Teaching Grants to CISD teachers in 2012 which included help with technology at the two middle schools and construction of a greenhouse at the high school. Since 2012, our funding has grown to include many additional types of awards, and the Foundation has given over $285,000 for programs that are creative and enhance the educational journey for our students. Quality schools are essential to the strength, growth and improvement of Cleburne. Involving the community in these efforts assures a quality education for our leaders and workforce of tomorrow. By building strong community support for public education in Cleburne, we can help ALL of our students achieve their dreams.